Sorry it’s been a little while since my last post! I’ve been doing good with being consistent and then BOOM I got slammed the last week and a half. 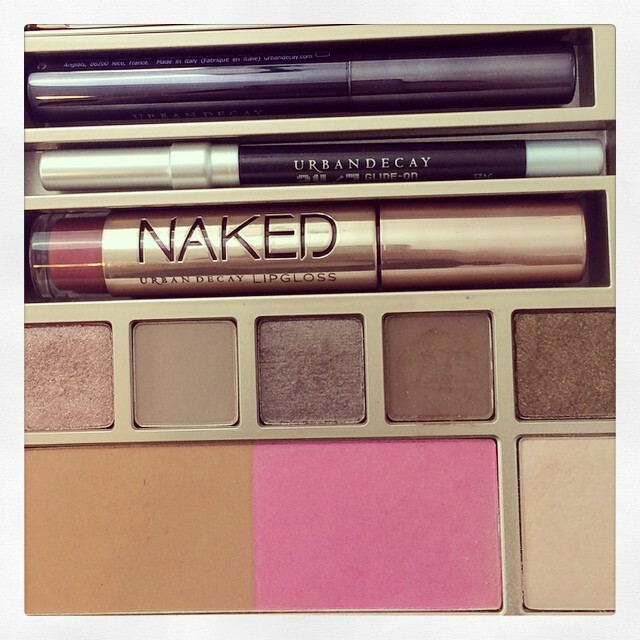 This is the awesome palette! I decided to film as I got ready for work and decided to try a couple new products. The Ecotools Airbrush Concealer Brush and The Tom Ford Shade & Illuminate. I’ve actually never used a cream contour and I don’t know why because I absolutely looooove it!! I did go over it with a matte bronzer but loved it for sculpting. Happy Holiday’s my friends! I am sooooo excited about this video because I collaborated with my dear friend Lisa (lisajmakeup). She is sooooo talented at makeup and you must subscribe to her channel. With the holiday parties around the corner we figured we had to put two looks out there! Check out her video below!! Eyeshadows: In the crease Saddle from Mac, Gold Pigment from Mac’s 2014 Holiday Collection layered with the Gold Glitter from the same collection. Highlighting- Anastasia Contour Kit in the shade Banana and also used Benefit’s What’s Up? Lips: Beautique Lip liner from Sally’s Beauty Supply, Ruby Woo Matte Lipstick from Mac, Driven By love Prolongwear Lipglass from Mac. I just love saying y’all haha. Makes me sound so Texas. We had so much fun last weekend celebrating Halloween and as you can see from pictures I dressed up as a mermaid and Chris as Neptune. I got sooo much love on all my other social media pages that I figured I might as well share how I did my makeup and scales. I also made my seashell top and hair pin. I explain a little about that in the video. Just prepare yourself to buy seashells, hot glue gun, and pearls or whatever kind of beading you’re into from your local crafts store. I went to Michaels and know they have all the stuff there. The skirt I bought from Etsy.